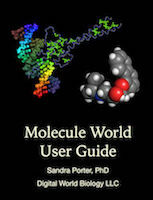 Dr. Sandra Porter presents at the 5th Life Discovery Conference (March 21-23) in Gainsville FL. Abstract : Learn how to investigate and compare the microbiomes from Lil Bub, a YouTube celebrity cat with several genetic abnormalities, and Danny, a normal house cat, using whole genome DNA sequencing data provided by Phase Genomics, Inc.
Join us at the ABRF annual meeting for a poster presentation on Immuno-biotech and bioinformatics. Join us at the ABRF annual meeting for a special panel introducing the Bio-Link.org community to ABRF. To learn more about the panel read: Community colleges: the new frontier for advanced biotechnology education and laboratory services .